Cogwheel Circuitworks has a new home and it is cogwheelcircuitworks.com. 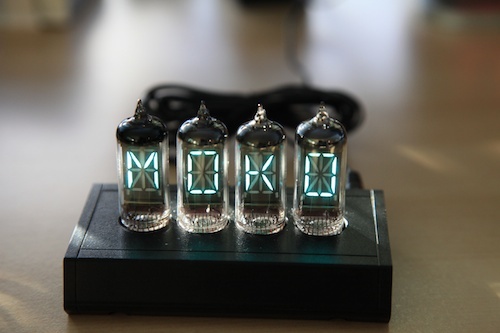 The site officially went live this morning and the new seven digit IN17 nixie clock is for sale. Go check it it! Cogwheel Circuit Works produces embedded electronic devices serving the electronics enthusiast, DIY, and Maker communities. Whenever possible, projects are released as open designs with no restrictions other than you must give us credit. You probably found this page because you were searching for Zetalink.biz, Raymond Wesling or his four letter word machine. This page is for you. First and foremost, this website is in no way related to the original site that was at zetalink.biz. The domain name registration lapsed, the old website went offline, and ineedcaffeine LLC purchased it. No one at TubeClockDB.com / ineedcaffeine LLC has dealt with Raymond personally but apparently he left a bad impression on the community. I created this website for two reasons. First - it will continue to be the home of the four-letter-word machine. There are a few alternatives to the Ray W. design and they are featured below. 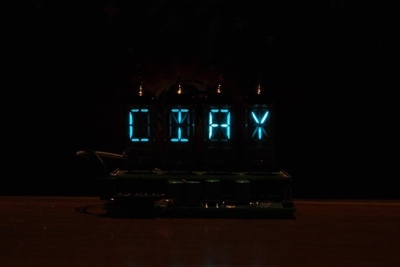 Second, his website was of historic importance and got many people, myself included, interested in Nixie tubes. 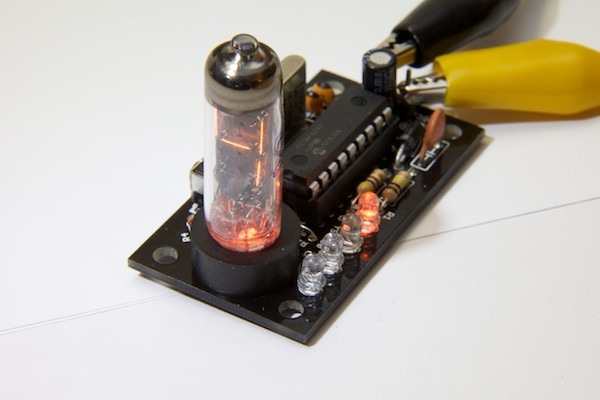 The intent is to preserve a portion of Nixie history. You may see a cached version of the old website here at Archive.org. Remember, the old website is offline so do not try to purchase anything! Lastly, no email sent to @zetalink.biz will be delivered. I have not setup any MX records and so all messages will be undeliverable. Jeff and Pete are collaborating on a new four letter word machine. Pete's design (below) is being tweaked and mass produced by Jeff and should be for sale in the near future. 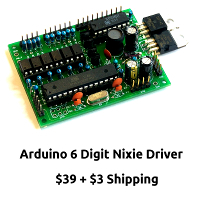 The device with 4x tubes and a power adapter is estimated to cost $499. This new design will also support a GPS time reference and that option will cost $549. Sorry, no photos at the moment. 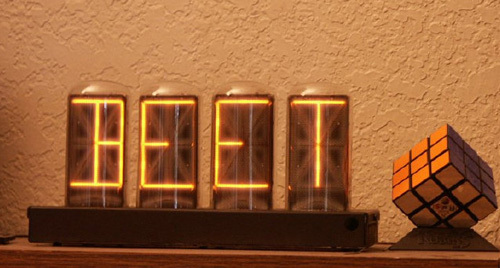 Bob C. of Cogwheel has an 8x tube B7971 system that allows users to display time, date, and strings of text over a bluetooth or USB connection. 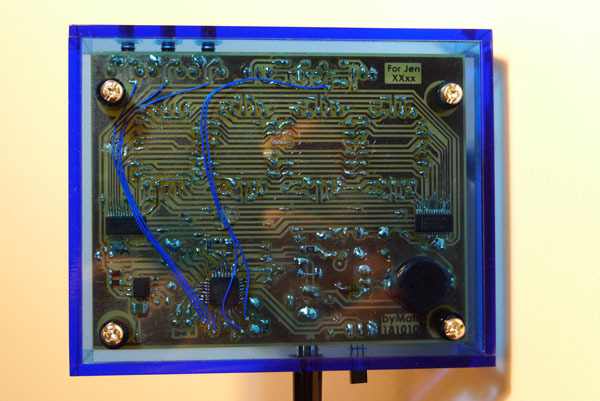 Okay, the guys behind www.DecadeCounter.com / the Vintage Technology Association are supporting our next contest. 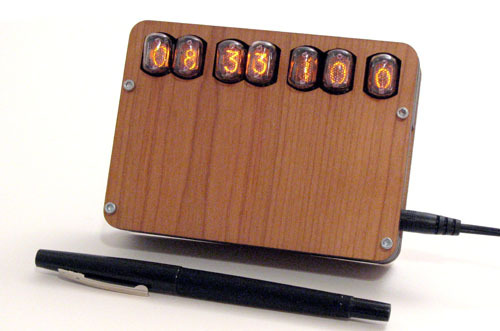 They just provided us with a YS-950 Numitron Clock, fully assembled to give away! THIS CONTEST ENDS AT THE END OF THE YEAR - JANUARY 1 AT MIDNIGHT - CENTRAL TIME. I want to give a big thanks to The Vintage Technology Association for supporting us and this contest! Well, this is interesting. 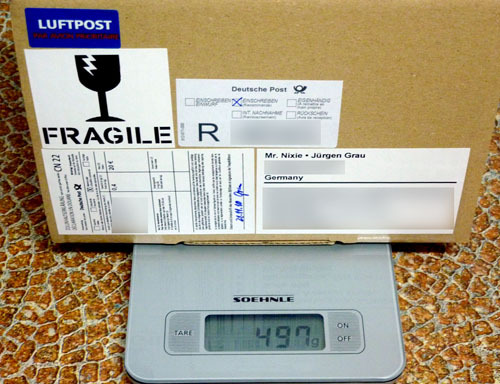 Mr. Jürgen Grau just told me that he is sending me a package for a new contest. And you know what? 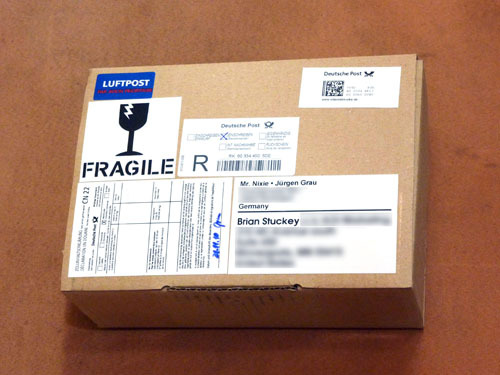 The contents is a surprise! If you want to know what is inside, you have to enter this contest. Again, I want to give a big thanks to Jürgen Grau for helping with this event and providing the kit. He is a sponsor and a top-notch builder. Thank you! 2. The winner will be selected at random. The names of everyone who enters will be compiled in to a list and assigned a number. 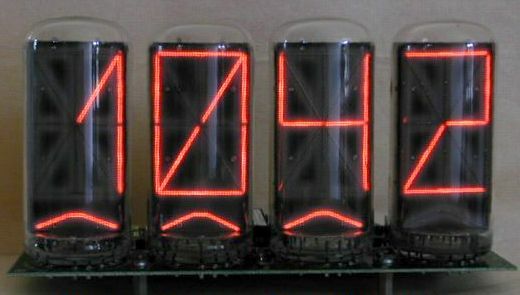 A winner will be selected by TubeClockDB.com at random with random.org providing the winning number. 3. The winner will have 5 days to claim his/her prize. 4. One entry per person. Conversations in this thread are fine – just don’t create extra accounts to stuff the ballot box or try similar tactics. 6. If I detect fraud, I reserve the right to cancel this promotion. 8. I reserve the right to tweak the rules to prevent abuse or other problems. The contest is over, we have a winner! 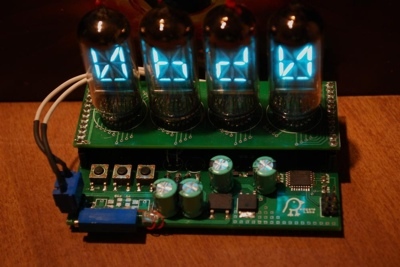 User elchucko won this nice VFD clock kit from NixieKits.eu contest. Congratulations! And again, I want to thank NixieKits.eu for making this contest possible. 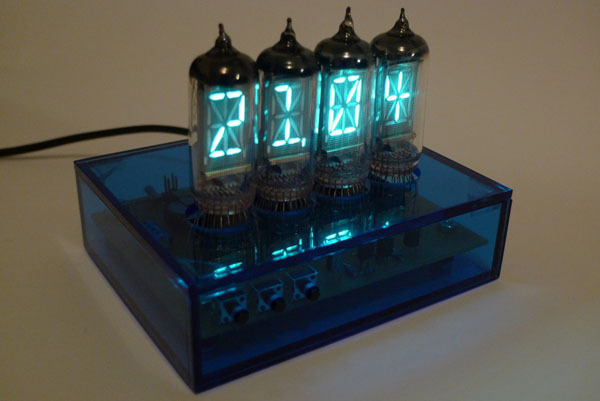 Win a VFD Nixie Clock Kit!